Is Nikon's Best Lens Going to Be Virtually Unusable? While wandering the stalls of CP+ (a.k.a the Japan Camera Show), photographer Matt Granger was fortunate enough to grab a few moments to play with Nikon’s beast of a lens proposed for release later this year: the NIKKOR Z 58mm f/0.95 S Noct. The physics are incredible, but early signs suggest that it might not be very practical. Nikon is in the process of developing this super fast lens, boasting the largest maximum aperture of any NIKKOR to date. Unfortunately for those keen to use it, it lacks autofocus, and trying to keep an image sharp while shooting wide open might prove to be incredibly tricky. If you can afford it, do not expect to shoot candidly with this lens unless you somehow manage to integrate your brain and fingers bionically with the huge focusing ring. Granger’s brief video shows that the immensely shallow depth of field on this beast is not going to be easy to use, which raises the question: what is this lens for if it will be tied to a tripod and the slightest movement of a model makes an image soft? This is a lens that, according to Nikon, will “further extend photographers’ creative expressions,” perhaps forgetting that your model’s expressions will too easily be turned into a blurry mess, albeit with amazing bokeh. 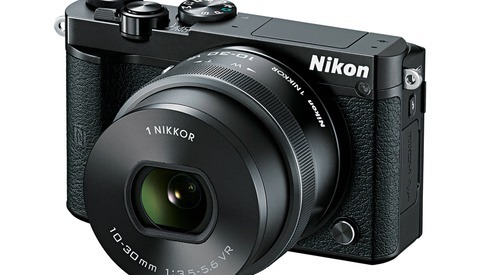 Of course, I'm poking fun and I don’t want to be too critical of Nikon. 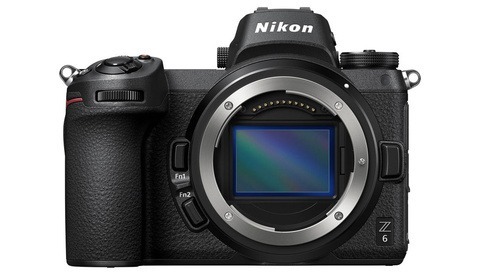 At a rumored cost of $6,000, this is definitely not going to have broad appeal and nor is that Nikon’s intention. This is a lens to create publicity and push the bounds of what is possible, even if it means making a few compromises along the way. That said, if you're planning to pick one up when it's released later this year, let us know in the comments below. It's actually very simple if you know how to setup your camera. The Z6 has a feature that allows you to enlarge the focus patch with the press of a function key. You zoom in to 200%, focus and then zoom out to make sure composition is good. I've used Leica lenses on Z6 and it's slower than normal Leica rangefinder patch but it might be that it's simply a situation where It's not second nature yet. With use it might be better. I know the focus is absolute. No adjustment of lens or camera to make things work at extreme tolerances for accuracy. 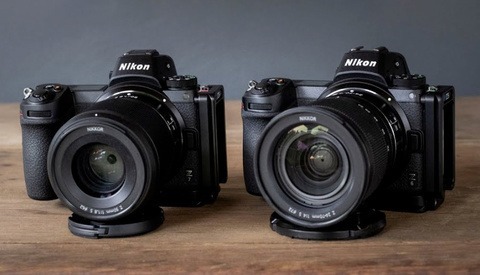 Just wish Nikon had kept the Z mount lenses smaller. Seems to be great glass but big form factor. Not sure I need the extreme f stop but it might offer possibilities to create something different. This is no more unusable than the Otus 55mm f1.4 that many of us have been using successfully for years using hard to focus DSLRs. The Nikon is probably heavier, which can be both a problem (the arms could tire) and a good news (more inertia meaning less vibrations), but we will have IBIS to help with framing. I have played with the 58mm f0.95 last Friday and found it a joy to use. You did well with that Otus on a dSLR! I tried once and found it very difficult indeed. When you used the Nikon lens, is the focus mechanical or fly-by-wire? BTW Hi Bernard, long time no see! This Nikon is a fully mechanical helicoid focus. Just like the Otus lenses. The focus is mechanical, it does feel similar to the otus, with a bit more friction I guess. I ended up replacing the Otus 85mm f1.4 by the Nikon 105mm f1.4 since I preferred its bokeh and found it very close technically, but I had fond memories of that lens. It was often a bit frustating to focus it with the viewfinder, I sometimes used the live view for some images but live view with such an heavy lens is quickly tiring for the arms. I find the Z7 and its excellent EVF much easier to use with these lenses. Agreed, EVFs are way easier to use with tricky lenses like this. Almost impossible with a DSLR to consistently nail focus using the viewfinder and/or AF - with a (good) EVF, much easier. I think the long throw will be a problem as Michael Jin said. The key with these lenses is a tight feel with zero slack, which is very hard to manufacture. Leica Noctis are quite literally hand adjusted so the focus feel is perfect - I have seen it done in the factory. That, plus a super high res EVF make it reasonably easy to use. I've adjusted well to my "manual focus" Zeiss lenses on my Canon 5DSr. The images are amazing! The camera is digital, so I always shoot a few extra frames to ensure I get the focus right. No more wasted film! My 85mm f1.4 Otus is my favorite walk around lens. Need more depth of field? Just stop down. But the boken on this beast is amazing! I do keep my Canon "auto focus" lenses handy when I absolutely need that feature. Yeah, even on Micro Four Thirds, I found it difficult to nail manual focus on slow-moving subjects with a Voigtlander 17/0.95 or a Samyang 135/2, and this was using focus peaking and magnified view. Hard to imagine what I could use this lens for, other than still-lifes, given that DoF would be much shallower. When has it become standard to pixelpeep at 100% mag or more? Most clients won't ever notice the difference between tack sharp focus on the eye and nearly there if the image delivers what it should: An unforgettable moment. Sorry, I'm just an amateur, but we (me too, yes, of course) tend to focus on technical details which are, at large, completely unimportant. Sadly true of some clients but it's no excuse for sloppy work. The idea is to achieve both. Sharp where it counts, and a good photo as well. If it was easy everyone would be doing it! Of course, it's what you define by 'sloppy'. To have a tack sharp f1.2 or larger portrait shot is probably of no use for clients, as most parts of the image will be out of focus naturally. So when does this rule apply? When do you use those large apertures? Mostly scenes where you isolate people from the crowd creating a dreamlike image. I guess that's pretty impossible to get a tack sharp shot of, say, the heads of the couple or whatever. And there's the main problem to get that manual focus quickly. Of course. But nearly there would certainly be enough. You don't need to count the eyelashes in such an image. Only photogs do. Who knew that a really wide aperture on a full frame would be hard to work with? Add in 360 degree focus rotation and its killer. Seriously, do you guys have a brain or did SONY and its MILC burned every synaps in those brains ? Where did Nikon tout it was an AF lens ? or a sport lens ? Suddendly datasheet lovers became unable to understand a lens datasheet ? Or all that lame noise is just another try to get some poor hit onto poor article or lousy vlog ? I already have my opinion, but I bet many will just click on the down vote button on this post to prove how wrong they are !